The evolving e-commerce environment has disrupted established customer journey norms. To achieve category leadership, CPG brands can't afford to rely on outdated, pre-omnichannel customer assumptions. Download our guide and learn how to optimize and improve your insights to drive a successful omnichannel strategy in 2018. 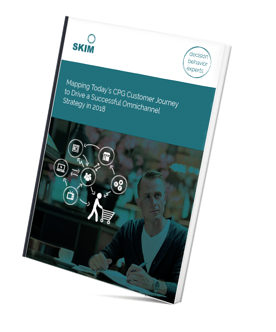 This guide will provide advice and best practices for how to uncover your customer's decision journey in today's omnichannel context and how to transform your marketing strategies based on the newly acquired insights.